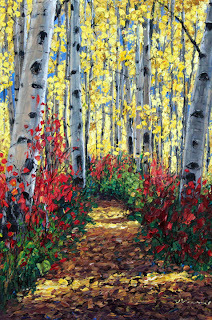 24 x 36 Aspen painting, "Sunlit Walk" sold today at the Celebrations of Fine Art show. 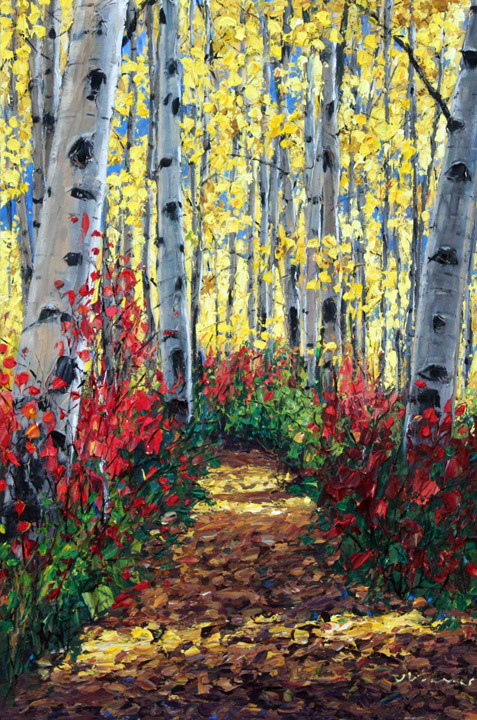 I loved this piece--lots of great color and sunlight...but I'm glad it will going to a good home. Collectors intend to place it in their dining room!